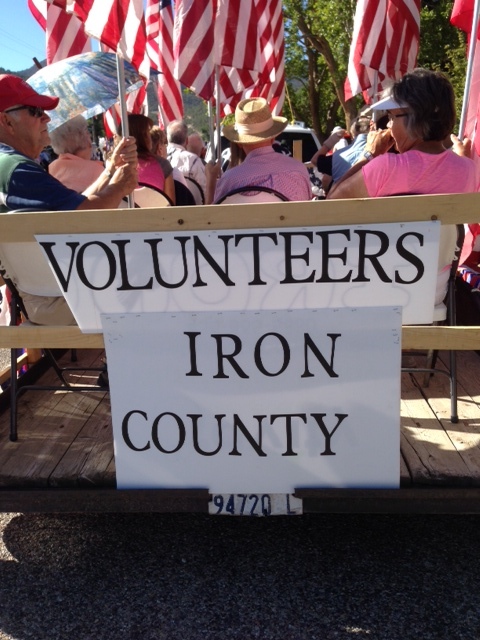 The Happy Factory was pleased to participate in the Iron County Fair Parade this year. 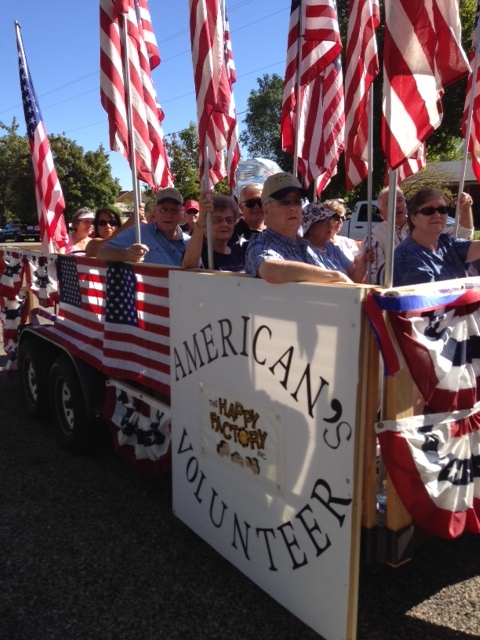 The theme of our float was “American’s Volunteers”. 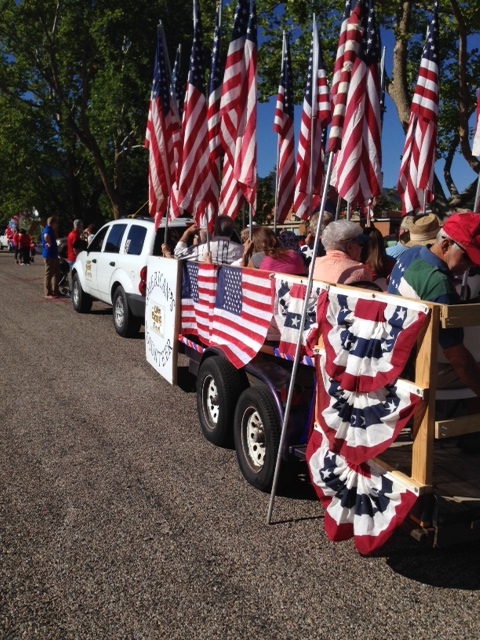 Jack Hayes manages to put together a fine array of flags and signs for the float. Thanks Jack! We had a great turnout and everyone had a wonderful time. 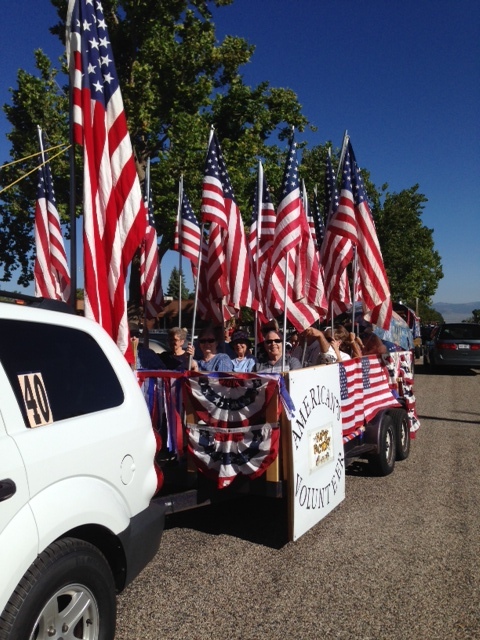 The driver managed to scare everyone at the end by barely missing the low hanging power lines with our large American flag that was standing straight up. The flag was one that flew over the White House. That would have been a shocker! Thanks for a great day Happy Factory Volunteers!